placestudio » What happens when you give people real involvement and a shared approach to strategic plan making? What happens when you give people real involvement and a shared approach to strategic plan making? Localism can and should affect practice at all levels, and especially strategic planning as outlined in a report on a case study of a genuinely shared approach to strategic plan-making published in April’s TCPA Journal submitted by Place Studio and Bath & North East Somerset Council. Below we share this article – read on…! Their ambition was therefore not solely about activity at the bottom, and very local, neighbourhood level; it was also about changing the way in which strategic planning is done, and about development management. In this context it was both striking and worrying that there was absolutely nothing in the Localism Act about raising the standards of engagement, let alone ‘collective’ working, in strategic plan-making. And that is despite the results of the previous government’s own research on engagement in plan-making,2 which showed that only the minority of authorities had genuinely moved beyond the tired old approach of preparing an ‘issues and options’ paper behind closed doors, launching it and then taking cover while the flak came in. What happened to the Regulations from 2004 that focus on developing information, developing issues, and developing options with people? At a different level, it is also striking and worrying that no further action has been taken to produce the secondary legislation necessary to make preapplication community engagement standard practice (even if just on larger projects). Waffly bits in the National Planning Policy Framework (NPPF) stating that ‘proposals that can demonstrate this [working closely with communities] in developing the design of the new development should be looked on more favourably’3 have had no effect at all other than enabling barristers to print money. Is it therefore any surprise that people react negatively, challenge figures, reject site selections and so forth, and then get labelled ‘Nimbys’? The vast majority of what is termed ‘Nimbyism’ is not really resistance to change and development per se, but an inevitable, one might say understandable, response to a feeling of powerlessness over change. Give people real involvement and sharing of power and much (not all) of that Nimbyism can fade away. That is what the work described below will show. B&NES is currently producing what it terms a‘Placemaking Plan’ – a Development Plan Document that contains site allocations and development management policies. It is complementary to the B&NES Core Strategy and is a key instrument for housing requirement delivery. B&NES recognised the importance of active engagement with local communities, particularly in the rural areas where the potentially very challenging process of site selection required the benefit of local knowledge as well as the support of the local community. 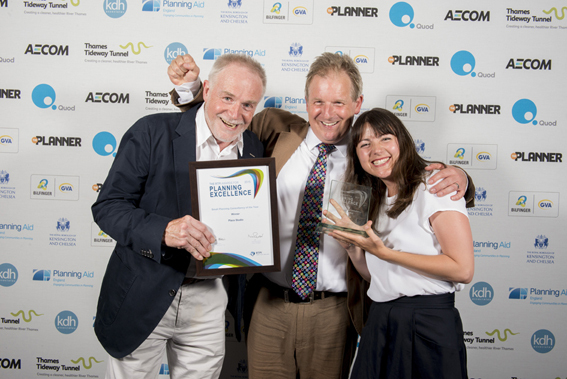 In order to do this effectively, it commissioned Place Studio, as recognised experts in the field, to assist in developing an innovative strategy to engage and work in partnership with parish and town councils and the local communities that they represent. Availability Assessment (SHLAA) work) but taken further into detail than planners often have the time (and in some respects the knowledge and skills) to do themselves. It was also drafted in such a way that people at community level could understand, respond to and complete it. The other was a Character Assessment Proforma, through which each community could undertake a study to express the local distinctiveness of its whole settlement. This was built from Jeff Bishop’s long experience in developing community-led Village Design Statements. As Place Studio had already tested similar assessment formats in a neighbourhood planning context, both formats were soon ready and it was time to launch an initiative and engage the communities. The first stage involved approaching all 47 town and parish councils in the B&NES area, inviting them to a launch day at a central venue. This was aimed at explaining and promoting the initiative and introducing people to, and hopefully exciting them about, the two proformas. Almost all councils signed up and sent one or two representatives. There was – rather as expected, and perhaps inevitably – some initial caution, even cynicism. However, the proven experience and independence that Place Studio could bring, and the ease and even enjoyment of actually trying out the methods behind the proformas, created a generally very positive, if still cautious, feeling by the end of the day. Having secured conditional support, the second preparatory stage was a training day. This was held at a different venue, from where it was possible, very quickly, for participants to go out and try using the (almost) final proformas. Once again, almost all town and parish councils sent representatives. Everybody had an opportunity both to try out the methods, highlight any poor phrasing in the forms and guidance, and to discuss practical points to improve the guidance on how to take the approach back to, and engage, their communities. The councillors then set back off to get their local work under way. They were all encouraged to draw in people beyond just council members to undertake the work or, at the very least, to use some mechanism to share outcomes back with the community and secure wider agreement. Some groups got going quickly and produced results entirely on their own. A few needed some handholding and advice, and a few of these took advantage of an offer of mini training sessions within their own communities (all provided by the authors of this article). Very pleasingly, some councils swapped notes and experiences with each other, and one group formed a cluster, in part because they wished to look at possible sites across a whole area and not be limited by parish boundaries. Plan of around 2,880 hours, or an astonishing 384 days! Other similar comments have been received, not just about the content and process but also in terms of the changing, and now far more positive, relationship between the authority, planning officers and the communities. Very interestingly, some communities which had been considering starting Neighbourhood Development Plans are now wondering, given the time and cost commitment of such plans, what that might add beyond what they are achieving by engagement in the strategic plan! settlement, and each specific site submission. Officers are visiting all suggested sites, and any outcomes from this process that vary from those produced locally will then be checked back with the parish or town council before inclusion in the draft Placemaking Plan. The character assessments were of such a high quality that the aim is to formally endorse them as material planning considerations once some work has been done, with local agreement, to ensure a basic level of consistency in their presentation format (not their content, as local distinctiveness is key). All this material will be used in the full draft plan which will shortly go out for consultation. invited to undertake a similar programme of work on the Cotswold District Local Plan6 just after starting the B&NES work. In this case the emphasis was solely on site selection, and an adaptation of the B&NES toolkit was the core method used. specific housing figures given for each town or village. Following a training session, all but two of the parish groups chose to proceed. They were each given background information about their village or town, details of the sites put forward in the SHLAA, and the toolkit. 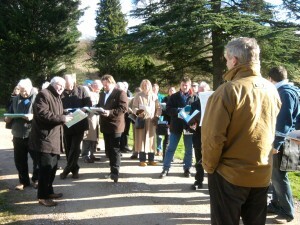 Having completed the site surveys, the results were then shared at open community events and occasionally modified. As in B&NES, a few groups sought some handholding from the team as they prepared, and occasionally someone from outside to ‘hold the ring’ (and take the flak!) while demanding debates took place during the final stage public consultations. One town council wrote in at the end to say that ‘the consultation group of councillors and volunteers… would like to pass on their thanks for the opportunity to be involved’, and another wrote to say ‘thank you for adopting this participative approach’. As in the B&NES work, the initiative generated a considerable amount of volunteer time (in this case over 120 days) and, in general, the planners’ view is that this has again transformed for the better their relationship with many of the parish and town councils. Very importantly, of course, there is also widely shared agreement on which sites should go forward. 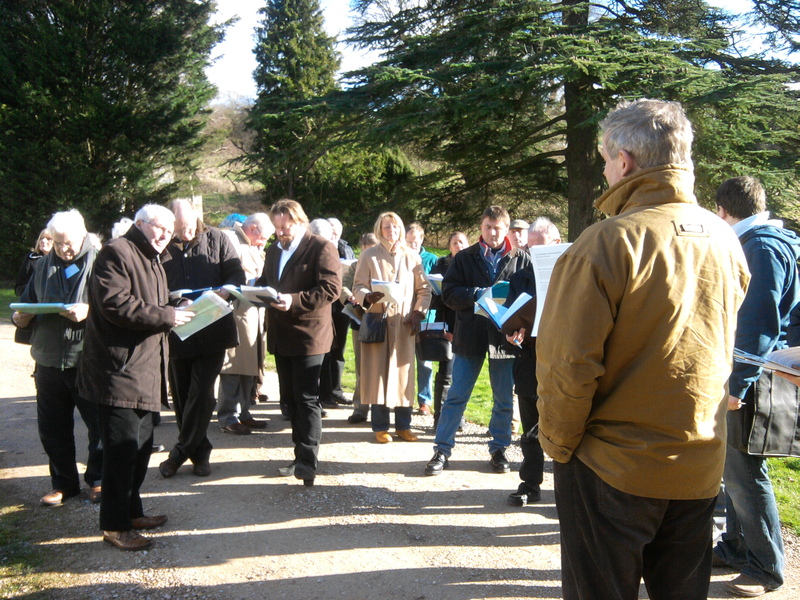 The success of the Cotswold work has now led on to a related initiative to develop, very much with parish councils, a Local Plan policy and procedure through which the smaller settlements not receiving any specific allocation can deal positively with schemes that come forward, be that from a developer, landowner, social housing provider, or even the parish council itself. Policy is traditionally rather vague on this, leaving communities frustrated when appropriate projects fail and angry when inappropriate ones sneak through at appeal. 10 Commitments for Effective Pre-Application Engagement 7 – pushes hard for this and, as part of some of Place Studio’s work in yet another Gloucestershire district (Stroud), there is now an adopted ‘Pre-application Community Involvement Protocol’8 that will apply to all future projects. Work is currently under way at Department for Communities and Local Government to review the success of neighbourhood planning and possibly amend the process to simplify the bureaucracy. Surely any review should look not just at the best of neighbourhood planning but also up the line at examples of ‘collective’ work at strategic plan level, and down the line at how to build on and develop proven good practice on pre-application community engagement? That way the true ambition of the Coalition’s reforms might be realised, strategic planning will be firmly back on the agenda (because it no longer has to be bluntly top-down), and there can be a seamless line of collaborative working right through to positive development management. This is, of course, of even greater importance given the recent publication of the Lyons Housing Review and the recognition by all parties that a step-change is needed as a matter of urgency to deliver increased housing numbers. However that is addressed, it will very soon become even more essential to work through issues such as site selection and design quality with local communities. Approaches such as those described above offer one proven model for how this might be achieved. Now that really would be strategic localism! ● Julie O’Rourke is a Policy Planner with Bath and North East Somerset Council. Jeff Bishop is an Associate Director of Place Studio Limited. The core case study section of this article has been prepared with the support of Bath and North East Somerset Council. All other views expressed are those of the authors alone.